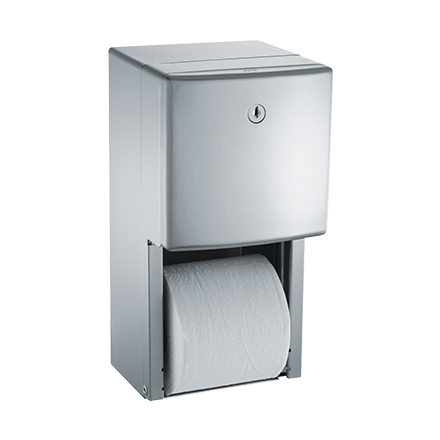 Holds two rolls up to 5 1/4″ (133 mm) diameter (double roll capacity 3600 sheets). Top roll automatically drops in place when bottom roll is used up. Type 304 satin finish stainless steel cabinet and mechanism. Theft-resistant spindles with integral plated steel endpins.